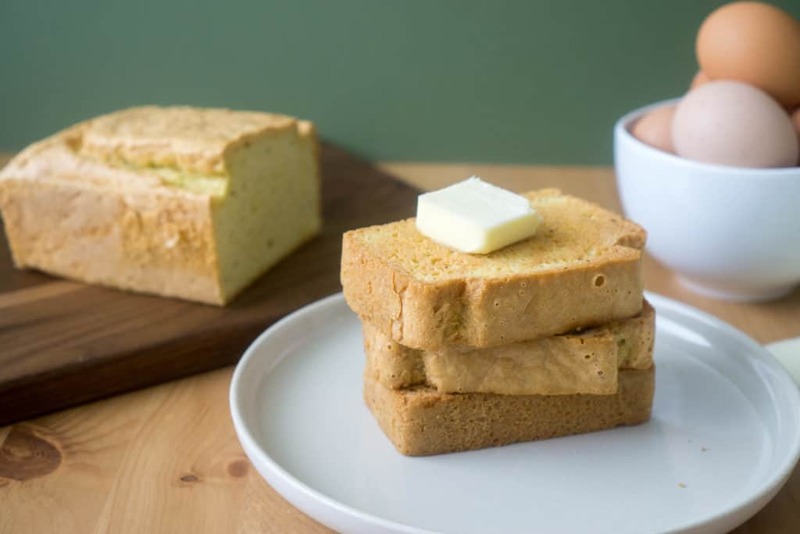 If you’ve been looking for what is definitively the best keto bread recipe on the internet, then you’ve come to the right place. How do I know it’s the best? Well, I’ve tried just about every keto bread recipe over the past three years and decided that nothing was good enough. There’s a couple that are good, but I wanted perfection! 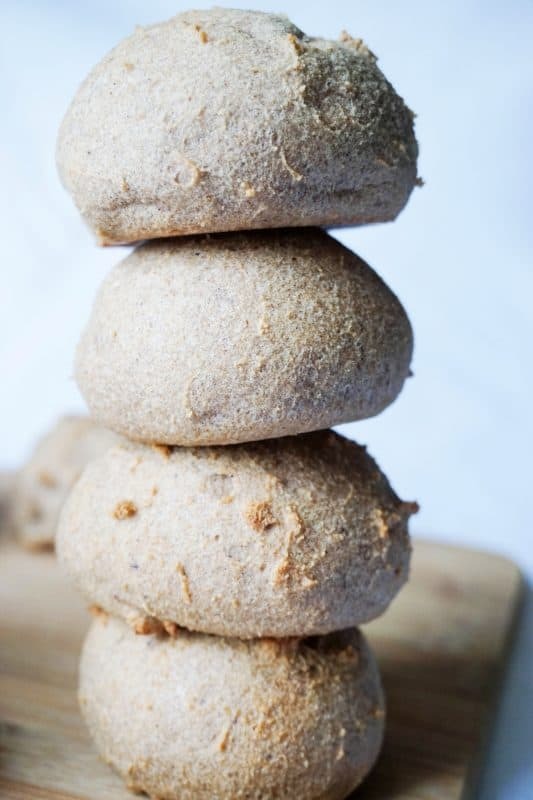 The best part about this recipe is that it’s simple, and once you have it down, you can replicate this keto friendly bread any time you want. I’ve been making a low carb loaf every Sunday for the past few weeks and would recommend that to anyone. It’s so nice to have a loaf of bread at your disposal when you’re on a low carb diet. It almost feels like cheating. 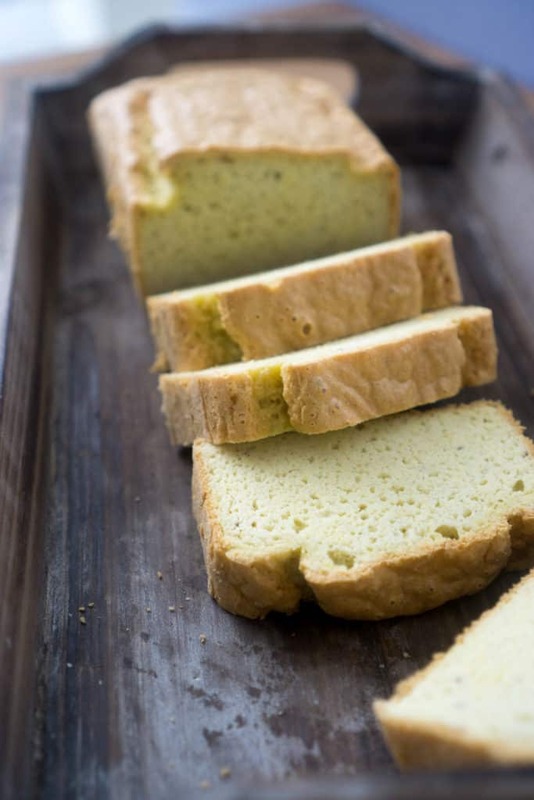 Check out this recipe and start making the best keto bread you’ve ever tried today! The secret step in this recipe that takes this carb-free bread from good to great is the separation of the eggs. You’re going to want to separate the yolks and the whites. The reason for this is that we’re going to whip the egg whites until they are fluffy. We’re looking for soft peaks. This will add some volume to the otherwise dense keto bread. Beating the egg whites is the answer to the denseness that comes with making an almond flour bread. I’ve made countless baked goods using almond flour and the main problem I’ve encountered is how dense the finished product is. The fluffy egg whites in unison with the high dosage of baking powder do a good job of getting this loaf nice and fluffy and adding some air pockets into the loaf. This makes for a better tasting bread. 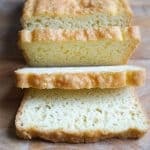 What makes this the best keto bread recipe is the fact that you can use it the same way you use actual bread. Sounds crazy right? If you search for keto bread on Pinterest, or the internet you’ll find a different recipe for everything you might want to make. 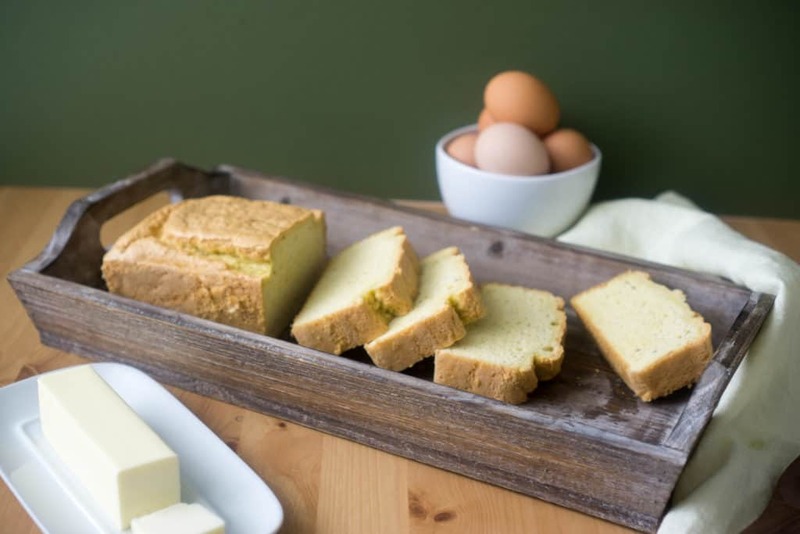 You can do it all with this keto bread recipe. You can even get crazy and throw this bread in a food processor and use it as Italian bread crumbs. The possibilities are endless. Your Low Carb Bread Replacement Has Arrived! The best part about this bread is that it makes it so much easier to eat a low carb diet. Yes, there are some savage beasts (joking) that don’t miss bread at all and are happy to just eat bacon seven times a day, but if you’re anything like me, bread was a staple of your diet growing up and you still have a look of yearning in your eyes when they drop that bread basket in the middle of the table at family dinner. I feel your pain. This low carb bread recipe is your shoulder to cry on. There's no need to try making this recipe using coconut flour when we've created this amazing coconut flour bread recipe for you. It's a slight variation on this recipe and is the perfect coconut flour loaf for those of you with nut allergies or if you just hate almonds. How do I get rid of the egg taste? Stevia - It might sound crazy, but adding a few drops of stevia to this recipe is the best way to eliminate the egg taste. Just a few drops will do! We typically use 6 drops of stevia. That amount will not make the bread sweet to the taste at all, but it will greatly reduce the egg taste. Yeast - Adding a tablespoon of Active Dry Yeast to this recipe can result in a more traditional bread flavor. The yeast won't make the bread rise or anything since we're not using sugar or gluten, but the flavor will still come through. Butter - This might be the best way 🙂 Just add some delicious butter to the top of a slice and you will think you're eating traditional bread! Slicing to order is going to be your best bet from a shelf life standpoint. We pop the entire loaf in the fridge, either in a tupperware container or a ziploc bag and cut off slices as we eat it. It will last in the fridge for 7-10 days. How do I get my loaf to be taller and fluffier? The 2 major issues that will lead to a flat loaf is not whipping the egg whites and gently folding them in OR using almond meal instead of a finely ground almond flour. If you've tried everything and they don't seem to be working for you, the next best option will be to make a larger recipe. Try making 1.5x this recipe (it's easy to do using the servings slide bar) and you'll have a much larger loaf. If you're looking for a traditional dinner roll then look no further. 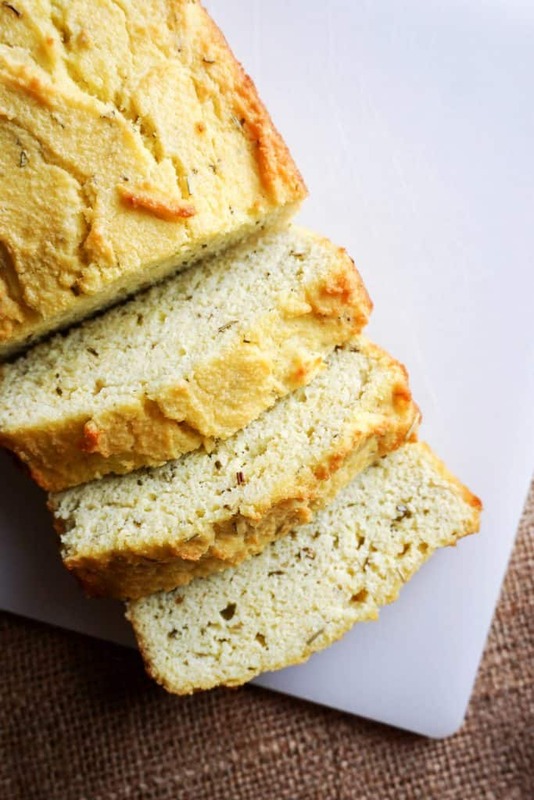 This is the softest and fluffiest keto bread recipe we have on the site. This one is also nut free! Sometimes we just want to throw something in the microwave after a long day at work, and this is the perfect recipe for those occasions. 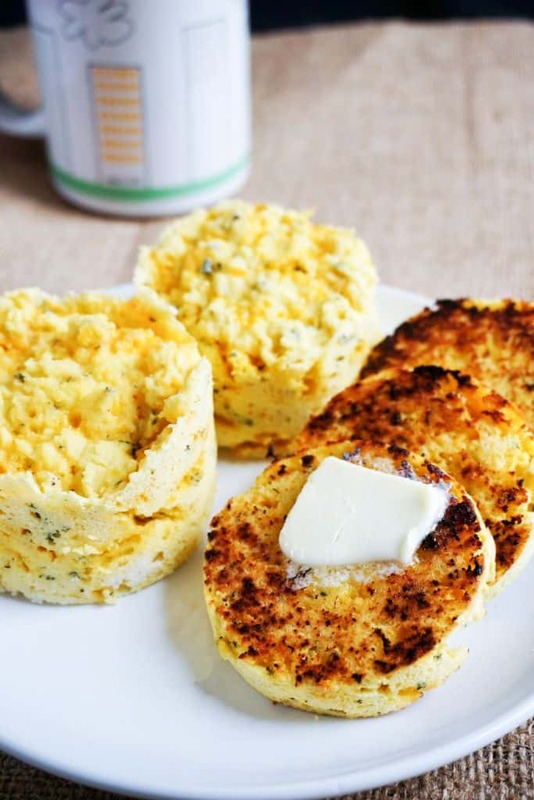 This microwave keto bread is packed with flavor and can be cut into 5 or 6 slices and used the way you would use an english muffin. Perfect any time of the day! This is our coconut flour bread loaf recipe. Very similar to our Best Keto Bread recipe, but we've eliminated the nuts and replaced it with coconut flour. The resulting bread is more soft and moist, but can be a bit more crumbly. We alternate between these recipes regularly and still can't decide which one is our favorite.